There’s no doubt that being a college graduate is one of the most exciting times in your life. School is officially over, and that means the job-hunting process has begun! And while it’s the goal of all graduates to receive a job offer immediately, the process sometimes takes a lot longer than you might think. So why is it so hard for college graduates to find that entry-level job and what can they do to improve their chances? Think about how many students graduate college every year, not to mention how many of them looking for jobs at around the same time. 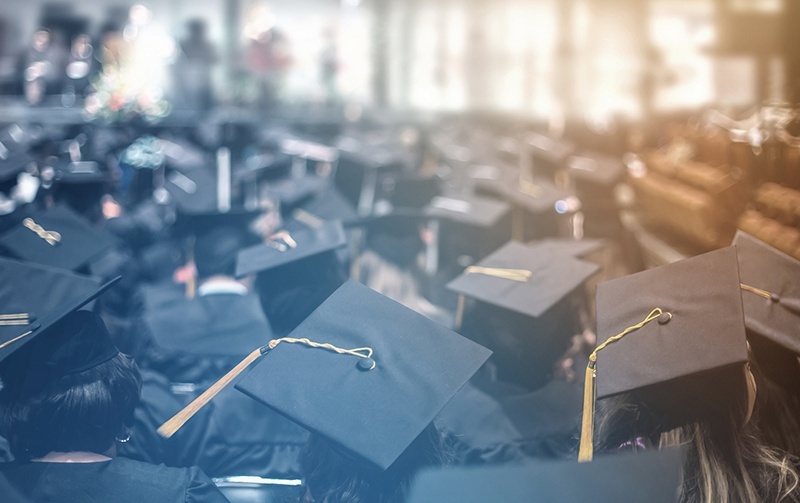 According to the National Center for Education Statistics, colleges and universities are expected to issue 1 million associate degrees and 1.9 million bachelor’s degrees during the 2018-2019 school year. There’s a lot of competition out there, and companies are bracing themselves for hundreds (even thousands) of incoming applications within the same time period. The sooner you start looking for a job, the better. That means that before you graduate is the most opportune time to start applying. Solely relying on a bachelor’s degree may not be enough to land an entry-level job. How do employers know if you’re a good fit for their company if you don’t have any experience? One of the best ways to grow your resume is take on an internship or another job (even if it’s not exactly what you’re looking for) to expand your experiences. And you never know – those connections you build may lead to new opportunities. In our most recent post about common resume mistakes, we mentioned that managers generally spend less than 30 seconds initially reviewing a resume, so it’s crucial to ensure that yours catches their eye. Your resume and cover letter are both important tools for uniquely marketing yourself and providing a positive first impression to potential employers. When applying for a job, take a good look at the position’s responsibilities, the company’s website, and its social media to get an idea of what the job is and the company’s culture. From there, you can cultivate an eye-catching cover letter that targets the job you’re applying for (not pasting in a generic introductory script), and an impressive resume to show that your skills and experiences are aligned with the job. As a college graduate seeking an entry-level position, you’re certainly not alone if you happen to be struggling to find that starter job. To stand out from the rest of your fellow graduates, we suggest working with our interview prep and resume experts. Not only do we help you take the guess work out of updating your resume, we partner you with a writer that knows your industry of interest, and even offer training sessions that prepare you for a great job interview. We know that searching for an entry-level job as a college grad can be a difficult process, but the last thing we want you to do is get discouraged! Contact MJW Careers and we’ll help keep you feeling positive and excited throughout the process, until you find the career you just can’t stop talking about.